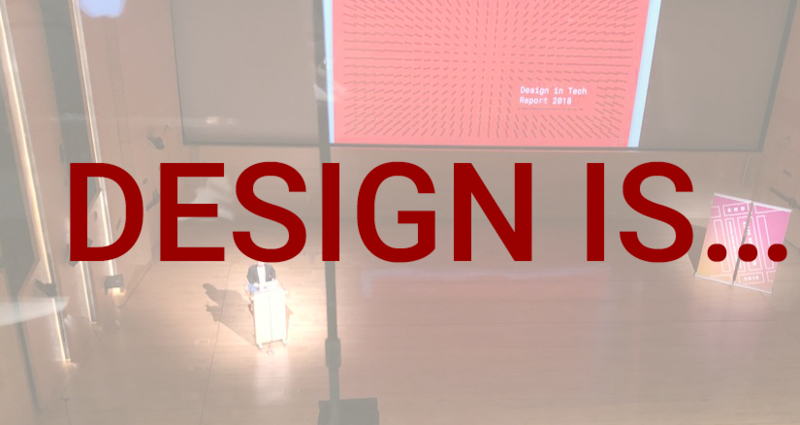 Posted byAaron Jorbin	 March 26, 2018 March 26, 2018 Leave a comment on Lessons I learned from #sndnyc: What is Design? Design is many things, but the best design is cooperative, constrained, and empowering. Those are the biggest takeways I have from the 2018 Society for News Design workshop. The three-day event included talks, workshops, and social events, all of which helped me learn about what makes helps make design great. Michael Donohoe, Mindy Yuen, and Michael Villaseñor from Hearst Newspapers highlighted this in their cross-functional talk. The "Double Diamond" method they utilize starts with a narrow problem that expands during the discovery phase, only to be narrowed during the decision phase and re-expanded during development until finally narrowing again during delivery. By expanding and contracting during different phases, multiple teams are able to really have a say in the process. Ivana Wong from Alley Interactive did a Post It Note workshop on kick-offs which highlighted the importance of bringing together stakeholders from across the organization to come up with the objectives for a project by asking "How Might We" questions. These questions can eventually form the basis of objections. Asking "How Might We Increase people entering the sales pipeline" can become the objective "Increase people entering the sales pipeline." James Morehead and Alex Valdivia from the Google Bulletin team discussed the "Why" and encouraged designers to ask "Why" rather than "How". Most of the design work they did didn't take place at computers. They also launched missing features they thought they wanted and learned from how people use Bulletin. Allison McCann from Vice News has tried to bring interactive style data journalism to TV and thus has had to learn all the constraints. She took inspiration from Guitar Hero for presenting Data Dense visualizations. She learned to use pacing in ways you don't need to necessarily consider in non-linear storytelling. The most important takeaway for me came from Scott Stowell of Open who's team empowered the ACLU and all its chapters with a design framework and language. They looked at the almost 100 years of history of the organization to pull out key values. They used the Supreme Court briefs as a typeface influence and they made Accessibility a key value. They also took inspiration from the pocket Constitutions that the ACLU is known for producing and produced a pocket design constitution that is given out internally. The end result is an organization of non-designers who can make visually impressive work that has an impact. John Maeda also highlighted the importance of inclusion in design. This goes as far as how he attempts to be inclusive of introverts in the Q&A portion of his talks. As I continue my personal exploration of design, using the skills and ideas I learned at SNDNYC will help me create designs by being cooperative, staying constrained, and empowering others.